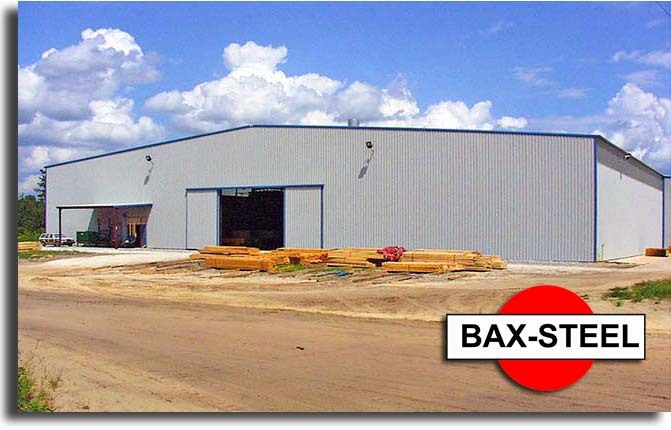 Whether you're looking for a large manufacturing facility or warehouse space, BAX-STEEL has the right solution to meet your needs. 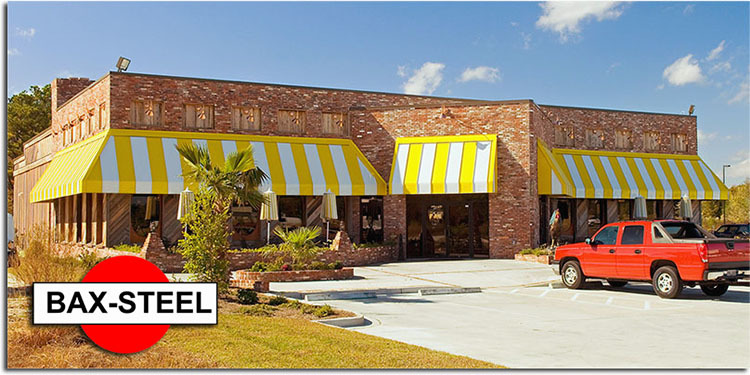 By offering true customized solutions, BAX-STEEL can accommodate and design buildings of virtually any size. With inventory or expensive equipment to be protected, a steel building provides the utmost protection against fire and the elements. And, by adding insulation, ventilation, and customizing the inside to suit your needs, a BAX-STEEL building will warehouse any inventory you can think of. 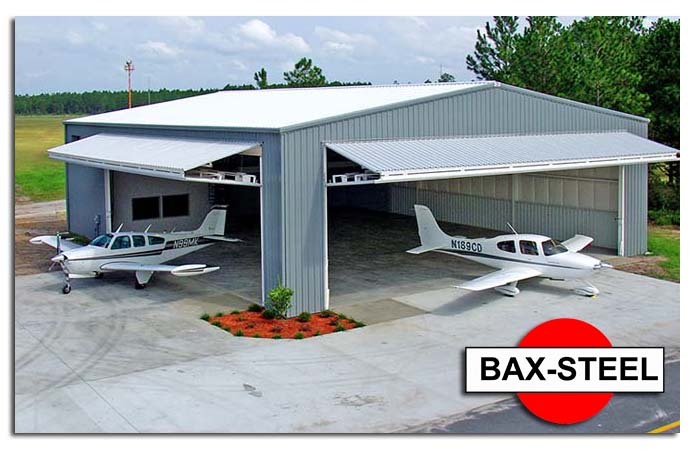 BAX-STEEL Hangars offer short construction time, flexibility in design, and low maintenance. Our Column-free interior provides wide floor space. A variety of eave heights are available to accommodate small to large planes. Each building is engineered to meet all requirements and local building codes. 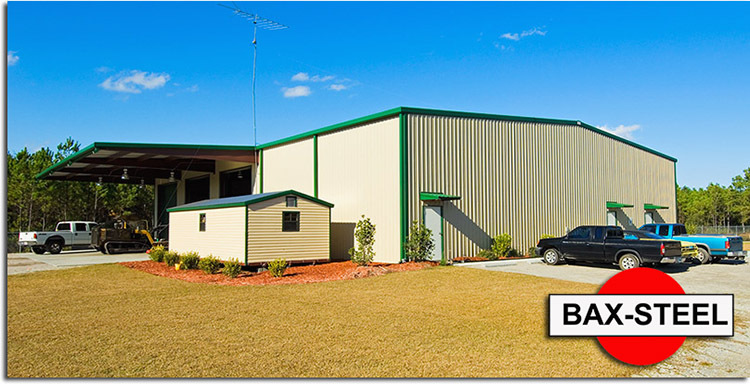 BAX-STEEL buildings are useful for a wide variety of agricultural uses. The protection afforded by Galvalume steel, from which all our buildings are made, means far less worry about damage from fire or the elements. Plus, since BAX-STEEL has such a large assortment of models and sizes, as well as virtually unlimited building lengths, your barn or storage facility can be as large as you can imagine. BAX-STEEL buildings offer a cost-effective alternative for free-standing retail outlets and showrooms. Any one of our designs can be adapted to suit your needs, be it insulation, ventilation, skylights or electrical wiring. Furthermore, the protection against corrosion and the elements provided by Galvalume steel means your building will remain attractive and eye-pleasing to customers.